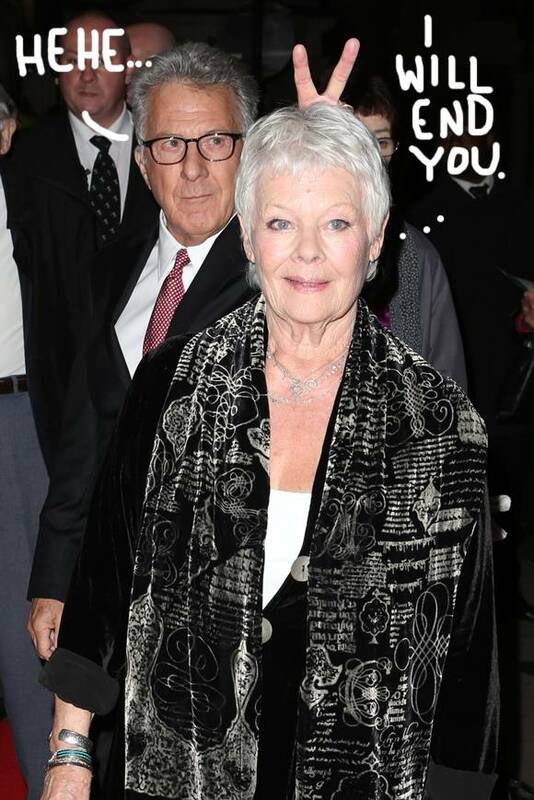 Dustin Hoffman Photobombs Dame Judi Dench At A Screening Of Esio Trot! Check Out The Rabbit Ears He Gave Her HERE! In a highly explosive photobomb, Dustin gave Dame Judi Dench some unexpected rabbit ears at Wednesday's screening of Esio Trot at the Curzon Mayfair Cinema in London. Knowing Judy, her vengeance was probably swift and merciless! Just kidding! These two venerable actors were seen hugging and posing for photos on the red carpet together! Dustin…you Focker! This might be our favorite photobomb of all time.